Hearing, like sight, is an important sense, the gift to help communicate and better understand the world and people around us. However, recent statistics, from the Centers for Disease Control, indicate that this precious gift is being abused on a massive scale. When one in five young adults, ages 20 to 29, have some measurable hearing loss today, something is seriously wrong! There is even more deterioration with age; by ages 50 thru 59, one in four people suffers from some hearing deficiency. A decibel, dB, according to website animations.phsics.unsw.edu.au/jw/dB.htm, is defined as a unit “used to measure sound level,” its intensity. Why is this important? The exposure to as little as 85dB can cause significant hearing loss, damaging tiny nerves in the ear, disrupting the ear’s ability to process sound. Government safety watchdog, OSHA, mandates the use of hearing protection in the workplace at frequencies at or above 90 dB; normal conversation, from three feet away, represents about 60dB. Listening to loud music with earphones and ear buds can significantly exceed that threshold, possibly leading to permanent hearing impairment. Occupants in a loud car that causes your own to vibrate can be experiencing a decibel range the equivalent of a jet engine! Hearing impairment can impact every aspect of your life: learning, speech, understanding and engaging in social and cultural functions. A bleak prognosis, isn’t it? If you live in the Trinity area, help is as close as the caring professionals at Trinity Hearing and Balance Center. 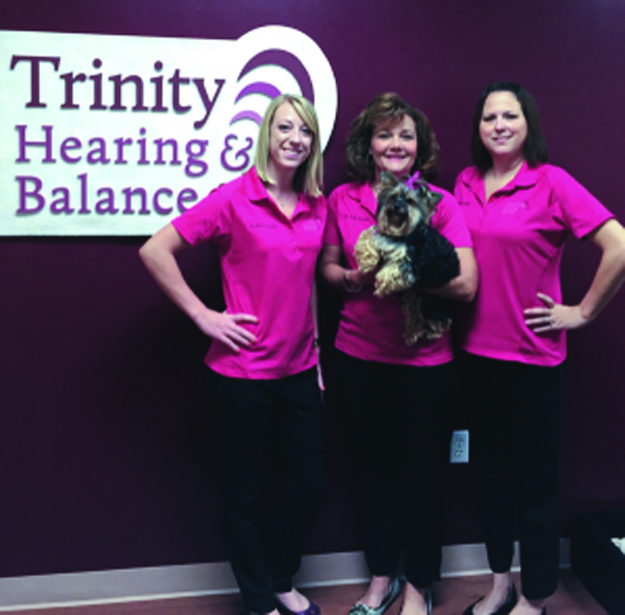 Conveniently located at 8605 Easthaven Court, Suite 101, open M-TH from 8AM to 4PM and Friday by appointment, Trinity Hearing and Balance, home of Doctor Kelly Hansen and Doctor Nikki Goldowski, is the ideal destination for both your hearing and balance problems. 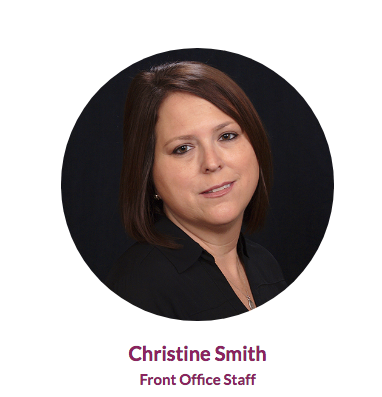 The helpful receptionist, mentioned by Jeremy P. is 7+ year veteran, Christine Smith, an important part of the patient experience. “I enjoy the patients and working with the doctors,” she said when asked about her job. The furnishings are sleek and modern, indicative of the cutting-edge equipment and state-of-art techniques employed to identify and solve both hearing and balance problems. Instead of straight-laced prune who acts like she is doing you a favor, a pleasant Christine greets you with a smile as you wait for your appointment. Purdue graduate, mother of three and licensed audiologist, Dr. Kelly Hansen, is justifiably proud of her practice and the strides it has achieved since first opening more than 11 years ago. 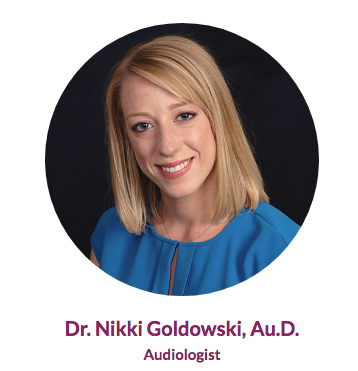 She and her associate audiologist, Doctor Nikki Goldowski, a Louisville University graduate and first- time mother-to-be, don’t believe in a “one size fits all” approach and, like the experienced carpenter who “measures twice to cut once” to provide a quality product, they conduct extensive testing before making any recommendations to their patients. Hearing-impaired patients are equally well served by both Doctors Hansen and Goldowski. Hearing technology has made remarkable strides; from the cone-shaped ear trumpets of the 1800’s to today’s miniaturized, almost invisible hearing aids. As a privately-owned practice, she has access to the full spectrum of manufacturers and hearing products to custom fit the ideal solution for each patient. 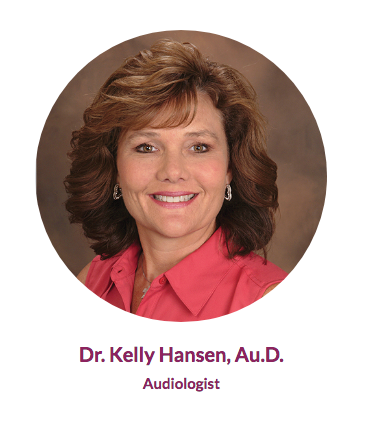 More importantly, Dr. Hansen noted that “it was not just the hearing aid, but the expertise of the individual fitting it.” As an “Audigy certified” professional, she certainly qualifies. Her mission statement is her promise to every patient: “At Trinity Hearing and Balance Center, we truly believe hearing and balance leads to a better life.” Dr. Hansen and Dr. Goldowski are working daily to help each patient achieve their optimum quality of life.